When you get a minor service with Berwick Automotive Specialists you get excellent value for money and, more importantly, these small tune-ups keep your car running on the road for longer. Our minor service includes a brake inspection, for wear and tear. Adjustments can be made, if needed, so that your safety is secure. We’ll also check the fuel and air filters, and the condition of the cooling system in general. 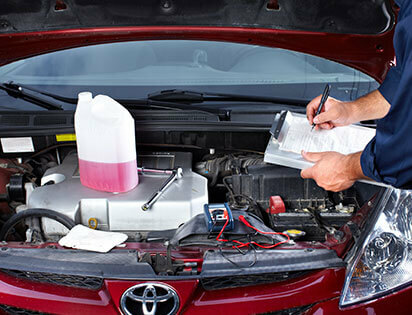 We’ll also check engine oil and perform a complete safety check. As we are a log book service, we’ll record any details of faults and problems identified.